Charles J. Moxley, Jr. is an experienced arbitrator, mediator and litigator. of them large and complex involving multiple parties, substantial issues and high stakes. He trains arbitrators for the Dispute Resolution (DR) Section of the New York State Bar Association (NYSBA), teaches arbitration law at Fordham Law School, and serves as Distinguished ADR Practitioner in Residence at the Benjamin N. Cardozo School of law. He was recently selected by the AAA to provide training in effective arbitration practices in AAA training programs. day arbitration training program he designs, organizes, and leads each summer for the NYSBA comprehensively covers all areas of commercial arbitration, including the selection of arbitrator(s), conflicts/disclosures, organizational issues, conducting effective preliminary hearings to design the process appropriate for each particular case, determination of the appropriate levels of discovery and motion practice, proactive management of cases, coordination among panel members, resolution of discovery disputes, conducting effective, efficient, and fair hearings, and writing awards. The trainings also include segments on managing e-discovery, arbitrator ethics, arbitration law, arbitral decision-making, and the distinctive features of international arbitration. An IMI Certified Mediator, Mr. Moxley has mediated over more than 50 cases, many of them large and complex, involving multiple parties and high stakes, and has been a bar leader in trying to enhance the availability of mediation in New York courts. As an arbitrator, Mr. Moxley is committed to according parties a fair and effectively managed process, using contemporary Best Practices designed to achieve arbitration’s promise as an alternative to litigation. As a mediator, Mr. Moxley’s decades of experience in virtually all kinds of business and financial disputes enable him quickly to understand the parties’ interests and needs and to help them bridge their differences. Before becoming a full-time neutral, Mr. Moxley was a commercial, securities, and insurance litigator in major cases throughout the United States, starting his career as an associate at Davis Polk & Wardwell and thereafter serving as partner and Counsel in several smaller New York City firms, following his graduation from Columbia Law School and clerkship for United States District Judge Thomas F. Croake in the United States District Court for the Southern District of New York. As a litigator, Mr. Moxley litigated numerous major cases, including most recently in the securities, insurance and accountants’ liability areas. 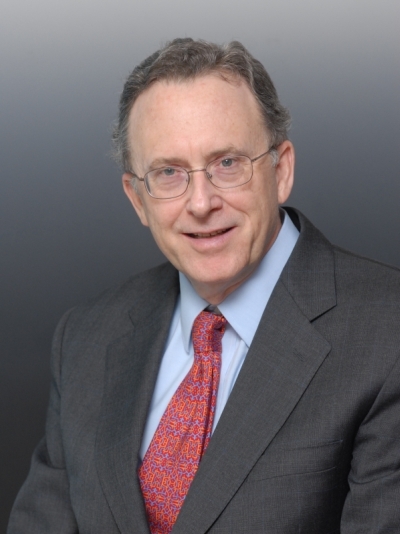 In addition to his over 35 years as an arbitrator and litigator and over five years as a mediator, Mr. Moxley has taught at New York area law schools for over 25 years, teaching not only arbitration law, but also civil procedure, evidence, New York practice, professional responsibility, nuclear weapons law, and law & literature. He recently has been a trainer for the AAA in its Muscular Arbitrator series of in-person and webinar programs, focusing on how arbitrators can best conduct their arbitrations to achieve the efficiency that parties want in choosing arbitration over litigation, employing practices such as those highlighted in the NYSBA’s Guidelines for conducting the pre-hearing phases of domestic and international arbitrations and the Protocols of the College of Commercial Arbitrators. His expertise in arbitration discovery, a subject about which he has written and lectured, enables him to bring efficiencies into the process, subject to the needs of the particular case. Mr. Moxley’s expertise in arbitration law, including through teaching the subject at Fordham Law School, can lead to efficiencies in the cases in which he is involved. Because of Mr. Moxley’s extensive experience and expertise, he is selected as sole arbitrator and as chair in many high stakes cases material to the companies and individuals involved. Committed to sound preparation, Mr. Moxley proactively manages the cases in which he is chair or sole arbitrator so as to achieve the efficiencies arbitration offers, subject to the needs of the particular case.